Another NFL Draft is in the books and this one certainly lived up to the hype thanks to Johnny Manziel. 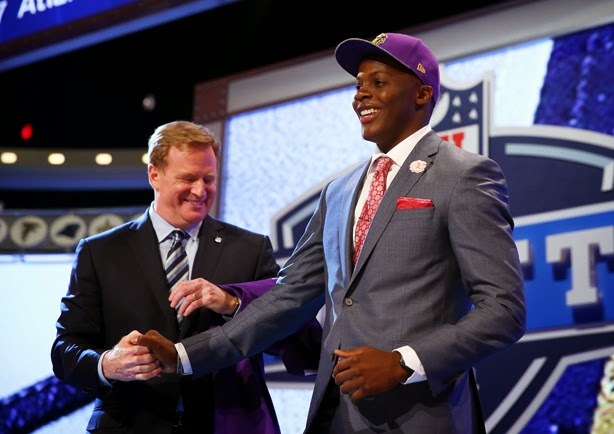 The suspense of where the infamous Aggies quarterback would play his rookie year had everyone on the edge of their seats for the majority of the first round. Truthfully, everything else was kind of downhill after that, which is a testament to the star power Cleveland Browns fans are about to experience. Besides Johnny Football, there was a lot of fashion on display, although slightly disappointing compared to 2013. Most athletes played it safe and didn't take risks, foregoing the typical flashy styles viewers have come to expect and enjoy in recent years. 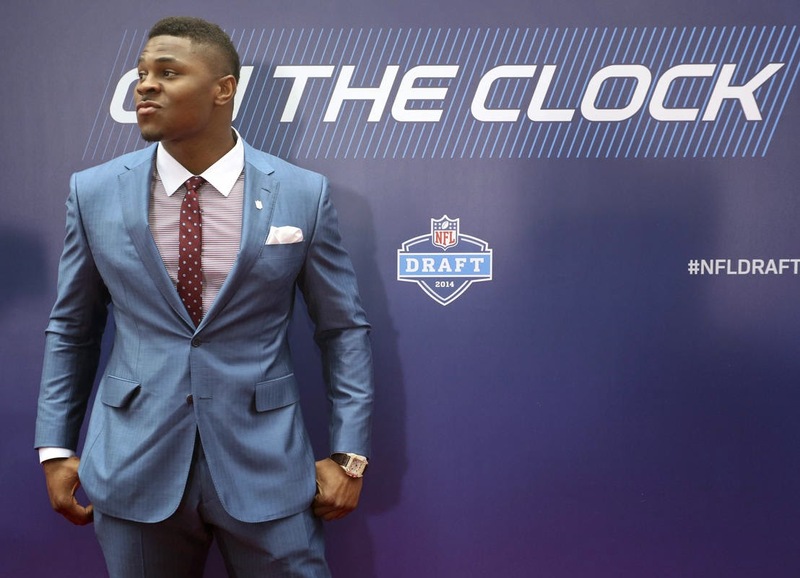 Nevertheless, there are always winners and losers, so in case you missed it, let's recap the must-see fashion moments in The Style Ref's 2014 NFL Draft Style Review. No matter what you wear, tailoring and fit are keys to looking your best, whether you're wearing a suit or sweats. Kyle Fuller's ensemble exemplifies this and his confidence does the rest. 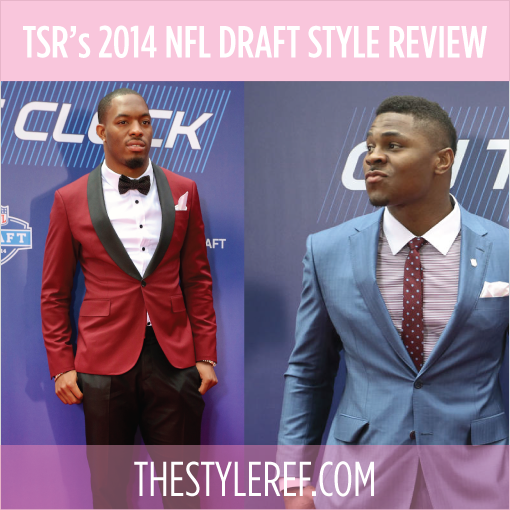 Bold and sophisticated, this standout look wins him TSR's Best Dressed of the 2014 NFL Draft. 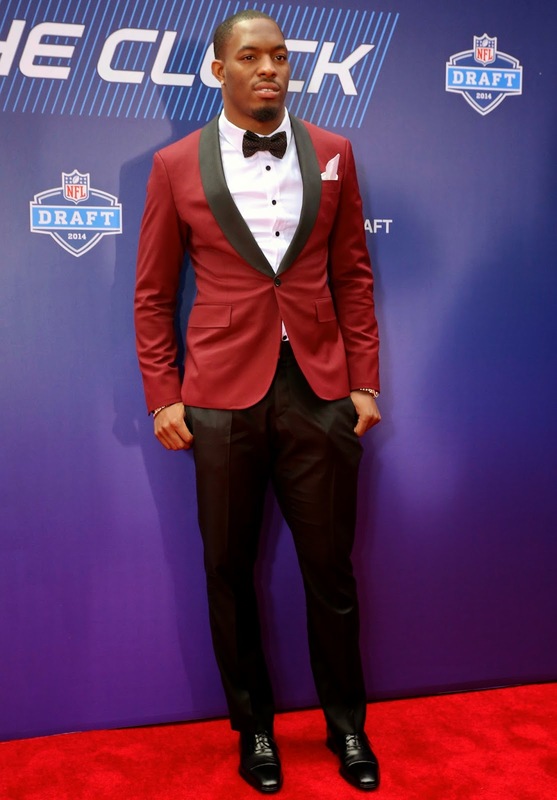 Many of the 2014 draftees walked the red carpet in style, looking sharp and put together in sleek suits and bold color combinations. Although they didn't claim the #1 spot here, these fashion-forward NFL newbies earned their place among TSR's Honorable Mentions. TSR's Worst Dressed this year goes to a former player because no draftee even came close to this horror. 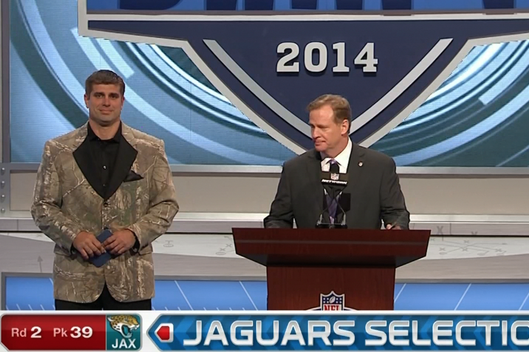 Brad Meester, former Jacksonville Jaguars center, announced the team's second round pick, but all eyes were certainly on his inexplicable camouflage tuxedo jacket. Seriously, where do you even buy this?! 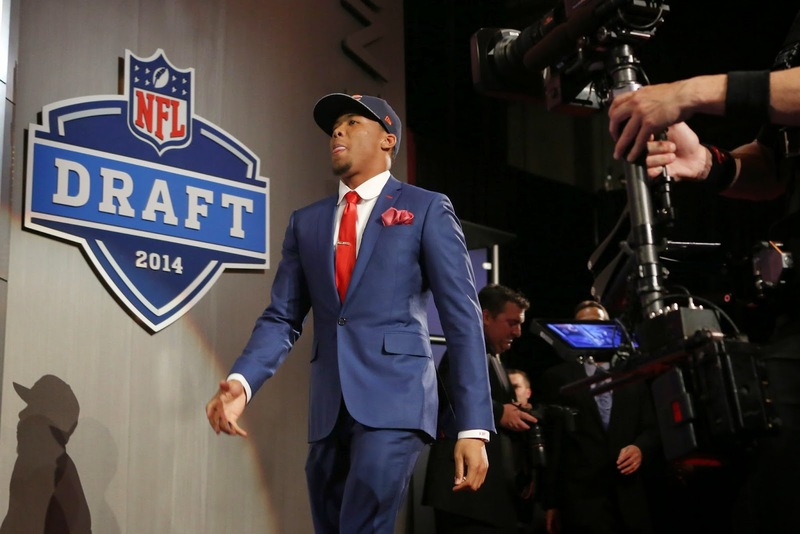 Who is your best and worst dressed of the 2014 NFL Draft? Make your call in the comments!